Tried every diet but still cannot lose weight….this might be the cause. Have you tried every diet there is including LCHF or the Paleo-diet but still cannot lose weight? Toxins may be the answer. It is well known that toxic chemicals may reduce the reproductive capacity and increase the risk for cancer. What is less known is that the ability to lose weight can be severely reduced by toxic chemicals. Weight loss due to chemicals can become difficult since toxins can interfere with the part of the hormonal system that regulates metabolism. Toxins can also damage fat cells and contribute to increased intoxication syndrome during weight loss since toxins accumulates in fat tissue. In 1982 and 1987, the Environmental Protection Agency did adipose (fat) tissue samples throughout the U.S. 100 % of the samples had solvents and dioxins, 83 % of the samples had PCBs. The Environmental Protection Agency also identified nine other harmful toxins in 90% of the samples. The toxins send signals to genes in fat cells to generate new fat cells. These new fat cells are often damaged and cannot create the hormone leptin, which is needed for weight loss. Also the risk of type 2 diabetes increases. Toxins can also increase inflammation in the body. Several studies have shown that the toxin PCB increase the risk of diabetes for instance. In addition, toxins affect the thyroid gland which is in charge of the body’s metabolism which will affect weight loss. If you are exposed to these toxins during pregnancy or while breast-feeding, your child’s health can be seriously affected and the risk that your child will be overweight in the future increases. The toxins’ negative effects on the thyroid, can also affect the child’s brain development by the way. Another problem with weight loss is that toxins are released into the blood stream when you lose weight. A study shows that a 12% reduction in body mass increases the number of toxins by about 25-50 % in the blood stream. What should you do? Do not ever get into Jojo dieting! Instead have a long term and healthy approach to weight loss based on the Paleo-diet. Also have sufficient levels of antioxidants, quercetin and vitamin D that will help with detoxification and simultaneously protect the liver, brain and adipose tissue during your weight loss period. Examples of detoxifying and protective substances are silymarin, alpha lipoic acid, chlorella, vitamin C and vitamin E complex (Vitamin must always have alpha, beta, gamma, delta tocopherols as well as alpha, beta, gamma, delta tocotrienol – look for the brand Innate Response). You should of course not adding more toxins, ie eat organic food, breathe fresh air, drink clean water and avoid unhealthy chemicals in your household and on your skin. PS. Note that all that you put on your skin will also get into your blood stream and reach all organs in the body. 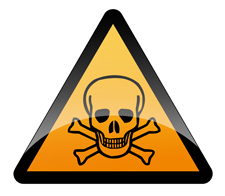 Toxic skin care = toxins in the body. This is one reason why we, at Raison d’Etre, always recommend natural organic skin care to all our clients. In our own spa, Nordic Spa & Fitness in Grand Hôtel in Stockholm, Sweden, we not only sell organic and natural skin care the spa shop, we even have handmade 100 % organic and natural shampoo, conditioner, body wash and face wash in all showers in the wet areas…we take spa, fitness and health seriously.